​We Created This Guide So You Get It Right The First Time! Have a child who loves to dance. Are confused when it comes to selecting which dance studio would suit your child best. Don’t want to go to a scary and high pressure dance studio. Want your child to attend a dance studio that will help boost their confidence, where they can make new friends and, most of all, where they will have fun and learn new skills. With more and more dance studios opening up each week, it can be challenging for a new dance parent to know where the best place will be for their child -- that’s why we created this guide to help you find the best fit for your family!. I hope you find this helpful when deciding on the best studio for your child. Even before attending a trial class, there are many questions that you should be asking. The most important question should be “What are the core values of this studio?” When making your decision, it’s important to dig a little deeper than just asking about class tuition and schedules. Learn about the teachers, their experience, their goals for your child, and their teaching philosophy. Of course, it is also important to get the practical information such as important dates, dress codes, etc. Remember, any studio worth your time and money will be able to happily answer any questions you bring to them. It’s also extremely valuable to talk with other parents at the studio to gauge their feelings. While waiting for your trial class to begin, strike up a conversation with the mother or father sitting next to you in the waiting room. “How long have you been coming here? What do you like about it?” You'll be surprised at how insightful your candid conversation will be! ​If you live in or near any major city, chances are there is a dance studio on every corner. When deciding on a studio to join, make sure to take the time to look around to ensure you find the one that is the best fit for your child and your family. Just like the students they teach, your local studios will all have different goals. The right studio for you is out there, but it may not be the first one you call. Most (if not all) studios will offer a free trial class for new students, so make sure you ask about trying a class out before you do commit as this is the best way to see if it is right for you. A trial class is invaluable in getting some insight into the how the teachers interact with the class, the language that is used, how full and engaged the class is, how appealing the content is, and, above all, how much your child enjoyed themselves. Also, take note of how organized the studio is from your first call or email exchange with them. Do they follow up with you promptly and answer all of your questions? This will really show you how on top of running the business they are. You want to attend a studio that is thriving and not in a constant state of chaos. As a parent, it can be difficult to watch your child in an environment with their peers without comparing them. Whether it is their skill level, their behavior, or their attachment to you, it is important to remind yourself that every child in the class is developing at a different rate – especially in the formative years before they start school. When your child joins a dance class you’ll probably notice that their confidence seems a little lower than the other children who are slightly older or have been dancing for longer. Those children may seem more enthusiastic, remember sequences more quickly, and their coordination and skill levels may be higher. The most important thing a dance teacher can do is to make sure they meet every student at their own level both technically and creatively. Don’t assume that because your child is a bit standoffish in their first few lessons that they are not ready for dancing – instead look for how the teacher is nurturing their needs. If your child is being met at their level, they will blossom in their dance journey - just give them time (tears are not uncommon at the preschool age either). Of course, a low price tag can be very appealing, especially when children’s recreational activities can be such an expensive venture. Just remember that you are getting what you pay for. A great dance studio is probably going to cost you a bit more money per class – but you need to think of this expense in terms of its value and your investment in the growth of your child. What exactly are you paying for? Dance class is a lot more than just popping on some music and twirling around. You are paying for the experience of a great teacher, quality props, carefully planned and structured lessons and a safe and well-equipped space. 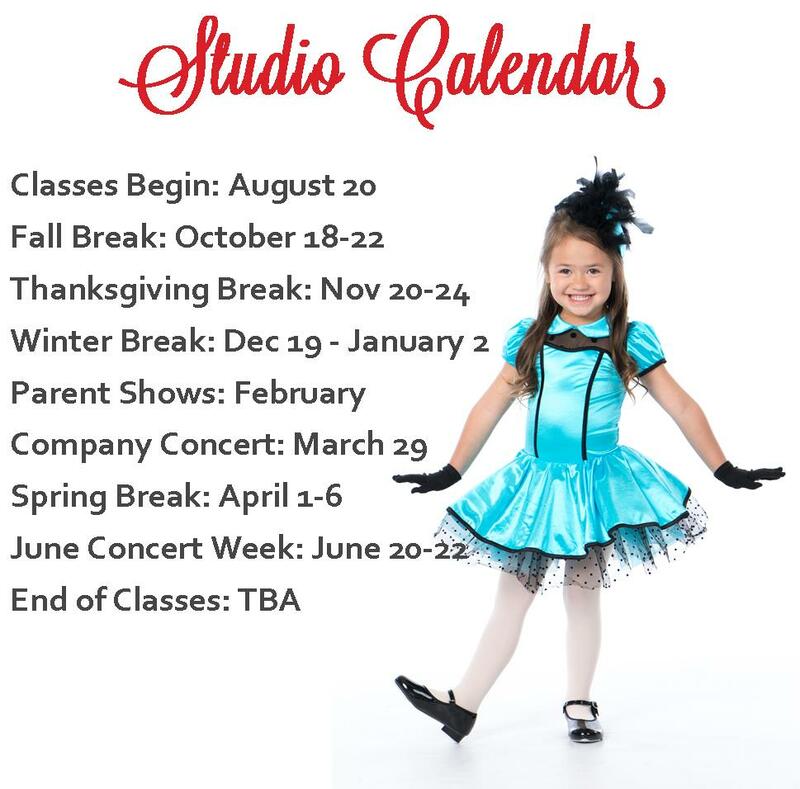 Beyond these things, the value you’ll receive from a great studio will come back to you as you see your child build confidence, social skills, attentiveness, teamwork, and a passion for creativity and dance. All of your questions have been answered. Your trial class went really well. But there’s something holding you back – you just can’t pinpoint it, but you’re not 100% ready to commit. That’s perfectly fine! Going with your gut instinct is a perfectly valid reason to keep shopping around for the perfect studio. Try a few more classes locally and you may be able to pinpoint exactly why you felt that way, or even decide to try again a bit later. Perhaps it isn’t that the studio has done anything wrong, but your child is simply not ready yet for dancing. And that’s OK too. Listen to your child and your gut. You know your child better than anyone, and if they are telling or showing you that they aren’t ready then just wait. Pushing a child to start before they are socially and emotionally ready may bring some negative feelings about dance, so giving them a chance to grow a bit more before getting started may be necessary. Don’t stress - there will still be a studio on every corner in 6 or 12 months when you decide to try again. Whether your child dances just for fun or they dream a future in dance... Wasatch Ballet Conservatory is where you belong. At Wasatch Ballet, our motto is "Every Student Counts!" For sixteen years, Wasatch Ballet Conservatory has been sharing their love of dance with students of all ages and levels. While focusing on technique, artistry, and personal growth, Wasatch Ballet continues to develop outstanding, well-rounded dancers. This means your child will develop good dance habits early that will carry through their entire dance career. You’ll also notice these habits spill over into other areas of life -- they’ll do better in school, feel more confident in front of a crowd, and carry themselves gracefully. We take seriously that we make big promises to you as a dance parent! To fulfill those promises, Wasatch Ballet proudly includes the American Ballet Theatre® National Training Curriculum, a program of ballet training that combines the basics of dancer health and child development. The right things are taught at the appropriate time, the right way, in a safe, non-competitive and nurturing environment by our team of knowledgeable teachers. Class offerings consist of Ballet, Contemporary, Jazz, Tap, Hip Hop, Children's Combo and more.